Study author Dr. Lindsay Admon told NPR that long-term meth use during pregnancy has serious health risks for the mother, including an increased risk of dying during or after childbirth. The study found among pregnant women, amphetamine-affected births (most of which involved meth) doubled from 1.2 per 1,000 hospitalizations in 2008-2009 to 2.4 per 1,000 by 2014-2015. “In total, we identified 82,000 deliveries that were affected by amphetamine use disorders,” Admon said. Meth use among pregnant women grew the fastest in the South, Midwest and West, the study found. Rural areas had the highest rates. 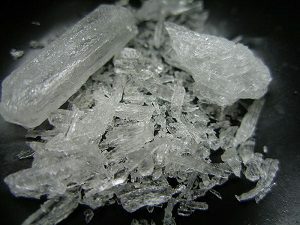 Methamphetamine use is at an all-time high across the country, according to a Drug Enforcement Administration agent.